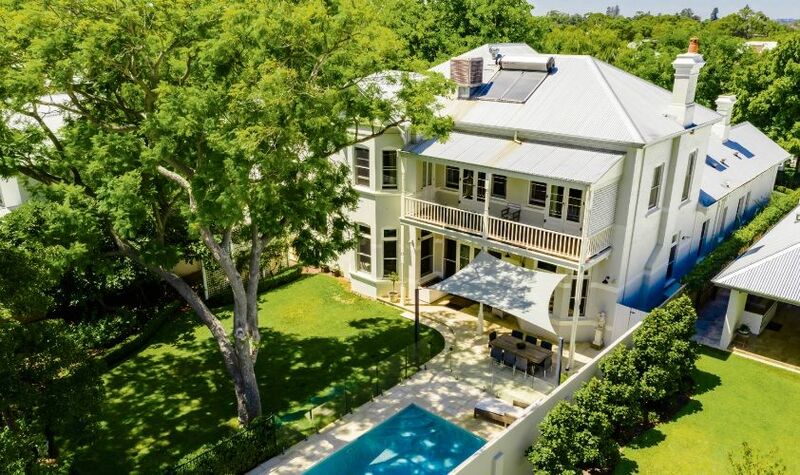 This Claremont home sold for $4 million at auction, highlighting improving confidence in the premium property market. CONFIDENCE is returning to Perth’s prestige property market, underpinned by medicos, mining executives and overseas expats according to Ray White Dalkeith-Claremont director Vivien Yap. In the last three weeks she has exchanged contracts on more than $22 million worth of premium property and said she was seeing more buyers move to the west for work in both the mining and medical fields. “Some of my owners who moved to Brisbane are now flying back more often to pick up mining contracts for six months at a time,” she said. Mrs Yap said she had a lot of buyers who work in the hospitals and universities. “Quite a few of my buyers are relocating back to Perth from England to work at UWA and the Perth’s Children’s Hospital, because of the lifestyle,” she said. “Many buyers feel a 500sq m is a big block compared to what they can get overseas and I sell everything from 500sq m size blocks to 1000sq m.
Highlighting the growing strength of the market was the recent auction of 37 Riley Road, Claremont. It sold under the hammer for $4 million with five registered bidders and more than 200 people watching auction action. Bidding started at $2.8 million for the six bedroom, turn-of-the-century home, moving up in $200,000 increments to $3.825 million when it was announced on the market. “It was such an exciting auction and my vendors were over the moon with the result while my heart was racing with excitement,” Ms Yap said. “It was a true auction campaign, and I told my vendors ‘trust me and come with me’ and they did. Ms Yap is a firm believer in auctions and said the campaigns helped her to quickly identify the right buyers with more flags raised after each open home and enquiry. “There’s no doubt that it’s a more transparent process, and creates a buzz in the community,” she said. “It’s almost like ‘breaking news’ – it’s exciting to have an auction in your street, everyone wants to come and see the live market action.